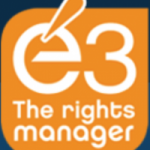 For further information about our work as foreign rights agents, you may read our articles What Does Our Work Consist of? Part 1 and Part 2. In order to get a better understanding of what foreign rights actually is, one of our former interns has written this very useful article: Foreign Rights: What Is It All About? Q: On your website you mention that you go to some of the international fairs. Which ones do you attend? 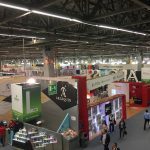 Marleen: 2 Seas Agency regularly participates in international book fairs, including those in Frankfurt, London, Beijing, Rio de Janeiro, Sharjah, Moscow, Leipzig, Guadalajara and Book Expo America. Besides, we believe it is of vital importance to visit our clients and the publishers we sell to at their offices in order to enhance our knowledge of their particular sphere of activity and interests, and regularly visit publishers in among others Amsterdam, Paris, Barcelona, New York, Berlin, and Munich. Q: You’ve got your catalogue right there on the website, and your video mentions that you update it weekly. Do publishers who are looking for books to acquire come to the website to view the catalog, or is it sent out to them, and if so, how often does that go out? Marleen: We make print catalogs twice a year, for the Frankfurt and London Book Fairs, and update these print catalogs for other fairs that we personally attend. We take it one step further with the use of our online catalog, which is indeed updated at least once a week. This is an amazing tool that we use throughout the year—we link back to our online book presentations in specific sales and marketing emails as well as in our monthly newsletters which we send out to our 6000+ contacts in international publishing. Other than that, we have found that foreign publishers and co-agents easily find their way to our online catalog on their own, to check which titles have been added to our catalog. They mainly use the language cloud, which allows them to get a real time overview of the titles we represent in their specific language territory. You can check the short tutorial we made on how to use this language cloud. Q: If I decide to have my book(s)/catalog represented by 2 Seas Agency, how long would it be before my book(s) appeared in the catalog? Marleen: Once we have received all the necessary material (cover image, synopsis, author biography, author photo, specific information about the publisher, number of pages, sales figures, blurbs, etc), it’ll take only one or two days—we use a great WordPress template which makes it extremely easy to add titles. Q: Besides the international fairs and the catalog, are there other ways that you typically connect with international publishers about books for sale? Marleen: As mentioned previously, we pitch our titles by email, both specifically to publishers in person as well as in general newsletters. We use Mailchimp for our general newsletters, which is a great marketing tool. Adding to this, we regularly organize Skype sessions and/or phone calls with prospective publishers and our co-agents to check in with them. Thanks to our European office, headed by Jr Agent Chrys, we are often in the same time zone. And working days start early at our California office, which is helpful to connect with our European office and European publishers by phone, and we usually end late, when Asian publishers start their new working day. Q: I’ve heard that the license for foreign rights is sold for a finite period of time, usually 5-7 years. Is this right? Marleen: Yes, that is correct. In Asia and Eastern Europe this term is usually 5 years from the date of the contract, and elsewhere this is 7 years, with some exceptions of 10 years. When selling foreign rights into the US or the UK however, this is a different issue. US and UK publishers often insist on obtaining the English language rights for the duration of the copyright. We then insist on including an out of print clause, which gives us the possibility to cancel the contract in case the sales fall below a certain number of copies per year. Q: When foreign rights are sold to a foreign publisher, is it only the rights to the book in that specific language? Or does the publisher then also own the rights to any version of that book sold in their country (including the English version)? Marleen: Foreign publishers in general do not acquire the rights to any other language than their specific language. When, for instance, we sign a contract with a German publisher, this contract will only cover the German language rights. Foreign publishers do often acquire those specific language rights worldwide. In our example, this allows the German publisher to sell their German language edition in Austria and Switzerland too. Q: When you sell a book to a publisher in Spain, do they own rights to the book only in Spain, or in other Spanish-speaking countries as well? Marleen: It depends on what the Spanish publisher offers for, and the outcome of our negotiations with them. 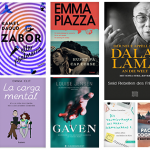 If they want world Spanish rights (a condition on which most publishers in Spain insist), their distribution market is of course much larger and they will probably sell more copies than if they were offering for Spain only. So in return they will have to pay a higher advance on the royalties. In recent years however, we have been looking more closely at the Spanish language market in Latin America. We attended the Guadalajara International Book Fair in 2015 and 2016, and intend to continue to go there yearly. It is a growing market, and very different to Spain. Q: Do you sell digital rights, or is it primarily print books that are sold? Marleen: All North-American, most Western European, Korean and Japanese publishers offer for both print and ebook rights. Even though the Korean, Japanese and Western European e-book market never took off like it did in the US, and its growth isn’t meeting the expectations one had a few years ago, the publishers still need to be able to provide content. Most of them publish the e-book at the same time as the print edition. It’s another story elsewhere—in Latin America (except Brazil), Eastern Europe, and the other Asian countries, the e-book market hasn’t taken off at all for the moment. The local publishers simply don’t ask for these rights so we generally don’t include them in our contracts with these countries. Q: What kind of communication style do you like to maintain with your clients whose titles you represent? Do you check in regularly, or as needed? Do you prefer to communicate by phone, or by email? Marleen: We check in regularly as well as at specific moments when we have news to share (when for instance we receive an offer, or to give an update on the initial reactions). We also appreciate it if our clients keep us informed about any relevant new information regarding their title(s) which can be useful for us, eg. a great new endorsement, or if the sales of their title has passed a certain number of copies. Q: How long does it usually take the foreign publisher once they’ve acquired the rights to put their edition of my book on their market? Marleen: Publishers usually have an 18- to 24-month window calculated from the date of the foreign rights contract to publish their edition of the book. This gives them enough time to have the book translated, copy-edited, proofed, etc. Usually publishers stick to the window they’ve been given but in case they need more time (eg. the translator fell ill and had to interrupt their work for a few months), we can agree to extend the publication term with your approval. Q: Could we get 50 complimentary copies of my book in the foreign edition so we can market my speaking services in that particular territory? Marleen: You’ll receive a certain number of complimentary copies of the foreign editions of your book; usually around 8 copies. If you’d like to purchase additional copies, the foreign publisher usually applies a discount. Each foreign rights agreement is different however, so we’d have to look at this on a case-to-case basis.